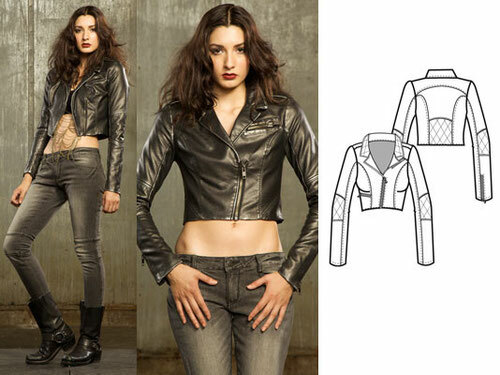 CROPPED VINYL MOTO JACKET WITH STUDS AND ZIPPER DETAILS! 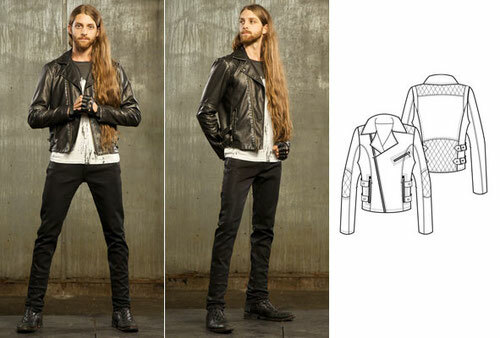 GEARED FOR THE PIT - MEN'S LONG SLEEVE JACKET WITH LACE UP AND STUD DETAILS! 5 POCKET MIDNIGHT FOG SKINNY JEAN WITH ZIPPER POCKET DETAIL! 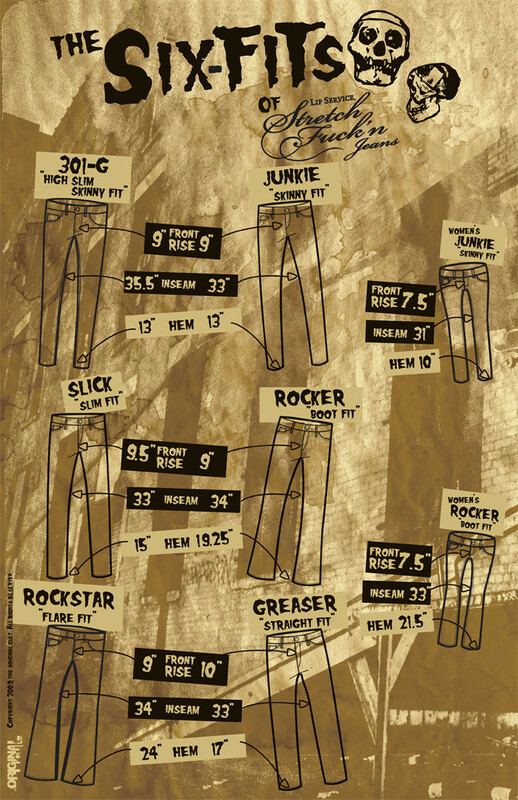 MENS GREASER FIT RIGID BULL DENIM JEAN! 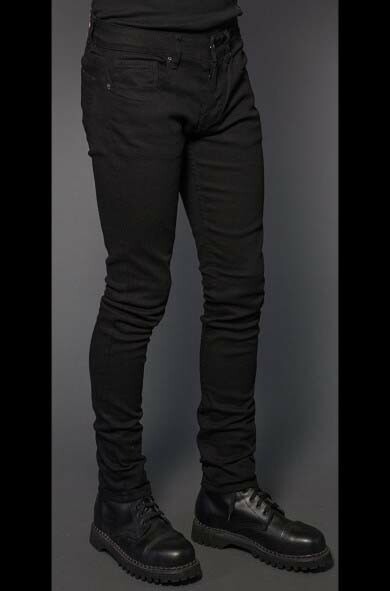 10 INCH RISE, 17 INCH LEG OPENING, 33 INCH INSEAM! 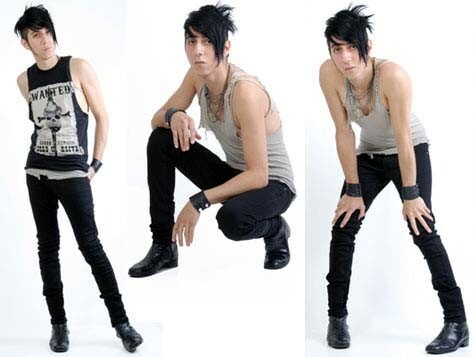 CARE: SHRINK TO FIT GARMENT. AFTER WASHING, JEAN WILL SHRINK APPROX. 1-2 SIZES. WE SUGGEST WEARING AS LONG AS POSSIBLE UNTIL JEAN HAS STRETCHED OUT. 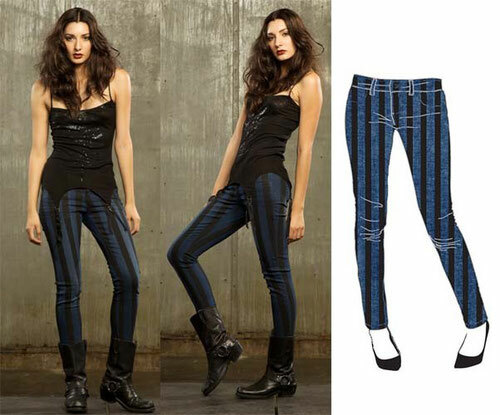 FOR FIRST WASH, TURN PANT INSIDE OUT AND MACHINE WASH COLD, DRY FLAT, NO BLEACH. 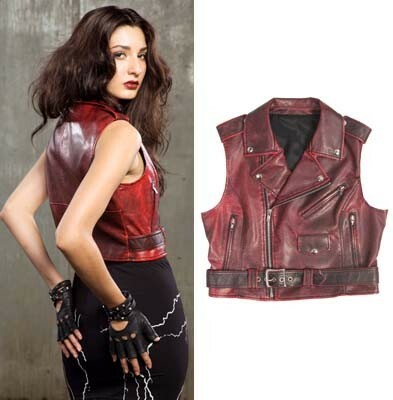 OR WEAR FOR 3 MONTHS BEFORE OUR RECOMMENDATION OF DRY CLEAN ONLY. 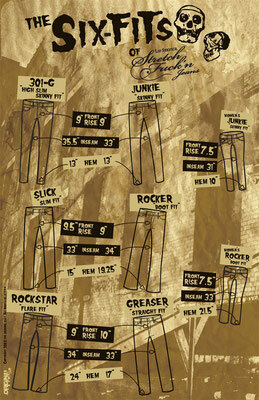 IF YOU ARE A TRUE DENIM AFFICIONADO AND PLAN NOT TO WASH YOUR JEANS, BUY THEM ONE SIZE SMALLER THAN USUAL. 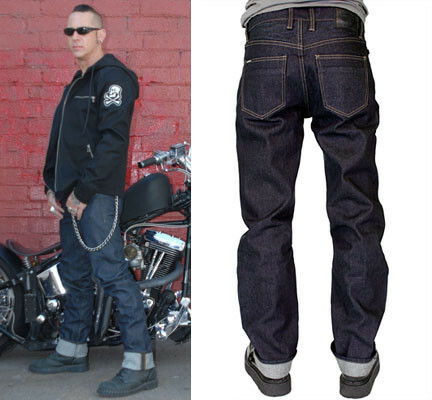 MEN'S GREASER FIT RIGID INDIGO DENIM JEAN! 10 INCH RISE, 17 INCH LEG OPENING, 33 INCH INSEAM! 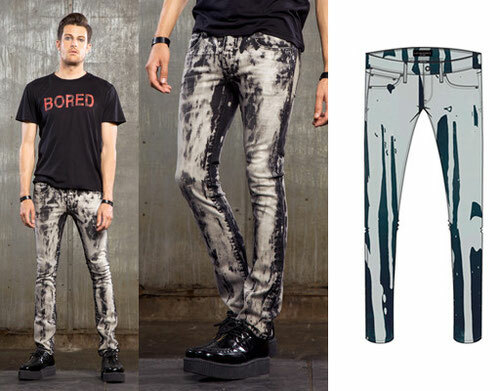 MENS JUNKIE FIT BLEACH SPILL SKINNY BLUE JEANS. STONE WASHED WITH SOFTENER FOR WORN IN VINTAGE FEEL. 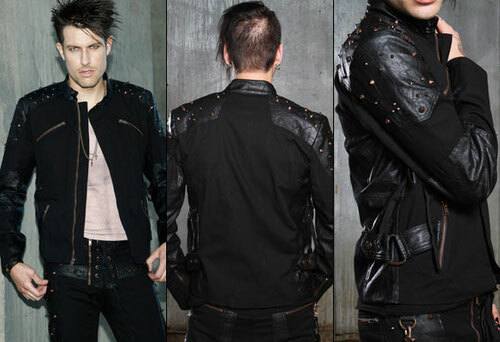 MENS VINYL MOTO JACKET WITH ZIP FRONT, SIDE BUCKLES, AND TOPSTITCHED PANELS! 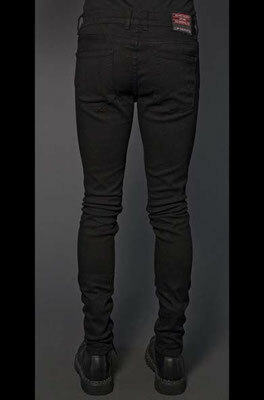 These are a higher end stretch jean with Moto styling! 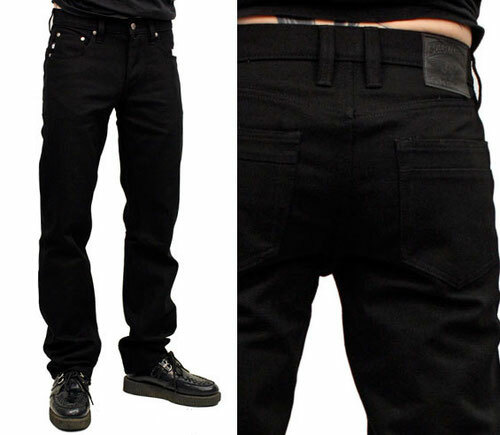 Super soft and stretchy denim, features a zipper on the back, hidden zip pockets under the two front pockets, a 2 button flap that covers the fly, and stitching detail on the thigh. GYPSY NIGHTS CAMI TOP WITH OUIJA BOARD SCREENPRINT! 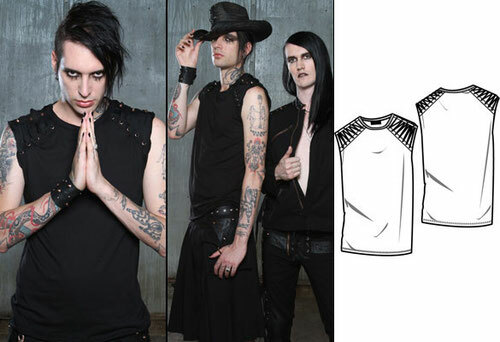 SET FOR MOSH MENS SLEEVELESS SHORT SLEEVE TEE WITH LACE UP DETAILS! 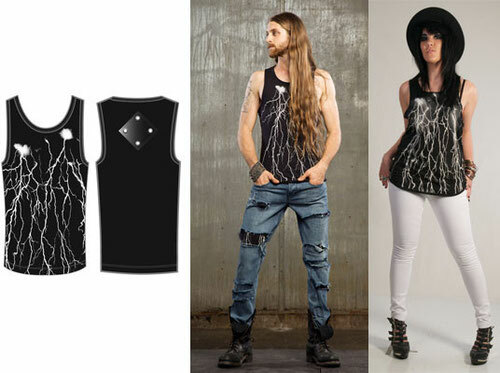 MENS RACER BACK TANK WITH LIGHTNING SCREENPRINT AND LEATHERETTE BACK PATCH! VICTORIAN AD PRINT CAMI WITH LACE TRIM! 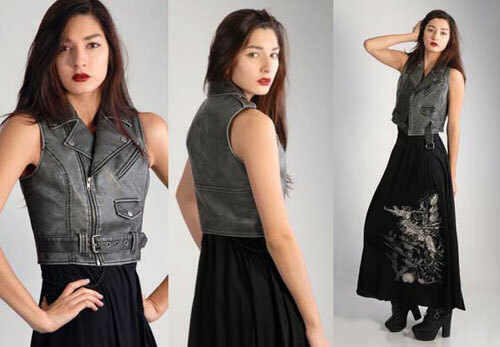 ZIP FRONT SKIRT WITH ZIP OFF REMOVABLE PLEATS AND EMBROIDERED SIDES!